At Valley View Assisted Living & Memory Care, we provide our residents with a fine dining experience at every meal. 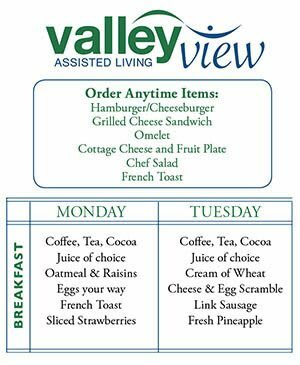 With a chef-prepared menu designed to suit the needs of the most special diets, at Valley View Assisted Living & Memory Care you are sure to leave every meal with satisfaction. Our new memory care wing also has a separate dining room. 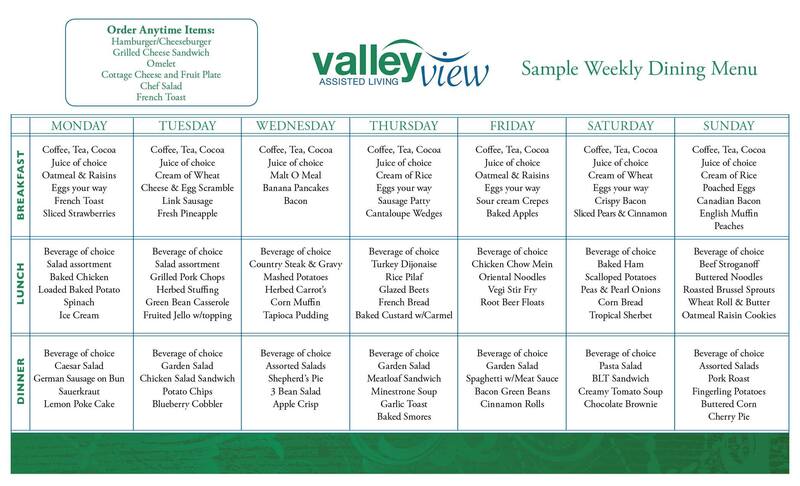 For an idea of what you will find in the dining rooms at Valley View Assisted Living & Memory Care, please see our Moran Vista communities sample dining menu below.